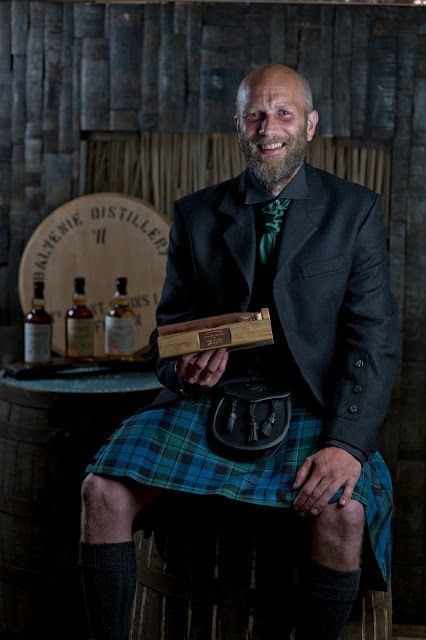 I was delighted to win the 'Stone' category of The Balvenie Masters of Craft in 2012, an awards programme which honours and celebrates those practising time served crafts throughout the UK. TV presenter and judge of The Balvenie Masters of Craft, Kevin McCloud said "For a second year, we have been blown away by the quality and quantity of the entries. There is such force and passion behind craftsmanship right now and I am delighted to have been a part of the process once again. Congratulations to all this year’s most deserving winners." "It is often said that the most beautiful things are born from the marriage between form and function. The exponents of these unique skills bring their crafts into our contemporary world of style and design; the 'firebowl' made by Callum Gray (the dry stone waller who won the stone category) for instance, wouldn't look out of place in a contemporary art gallery." Wallpaper magazine. Working at the Chelsea Flower show on the Trailfinders Garden, designed by Philip Johnson Landscapes and presented by Flemings Nurseries, has to go down as the best experience of my working life so far. Being involved in the team and constructing part of the garden that won the Gold medal and the coveted Best in Show Award at the most prestigious Garden Show in the World will be difficult to follow. I spent ten days working on the walling using 20 tons of stone that I sourced from a quarry in Denny. The garden was themed on an eco-friendly billabong and water was pumped over rocks and purified. The whole thing was designed to be self-containing, with the pump powered by solar power. Chelsea 2015 came about as a result of my previous involvement with Team Australia, when I met Charlie Albone, a TV personality in Australia and a Landscape Gardener. He loved the look of the Dry Stone Wall in 2013 and included a lot of stone work in his design for the 2015 show. ​It was a great experience again with the additional angle of having to do 'takes' for the TV programme Charlie was making about the Garden. The quarryman, Davie Graham from Drumhead stone was also included when we were selecting the stone, with the added bonus of subtitles as the Ozzies couldn't understand a word he was saying!! ​I built the fire pit out of a mixture of three sandstones, put it on the back of my pickup and hauled it to London. 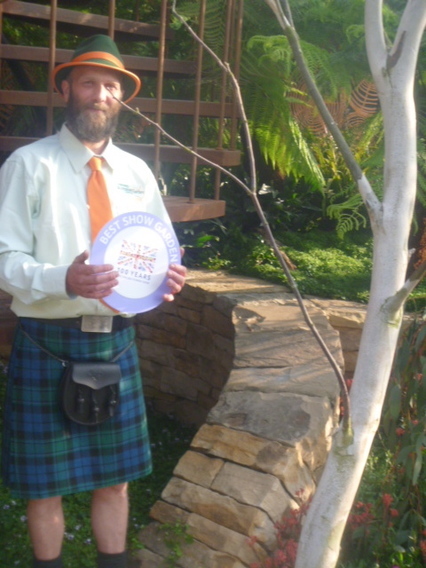 The Garden won Silver Gilt and had fantastic feedback from the public.. The pit, in the end was shipped to Australia where it now resides in pride of place in Charlie's own Garden..